If the thought of making a cold call to a prospective customer or phoning a customer you haven’t spoken to for a while, fills you with fear then don’t worry, you’re not alone. 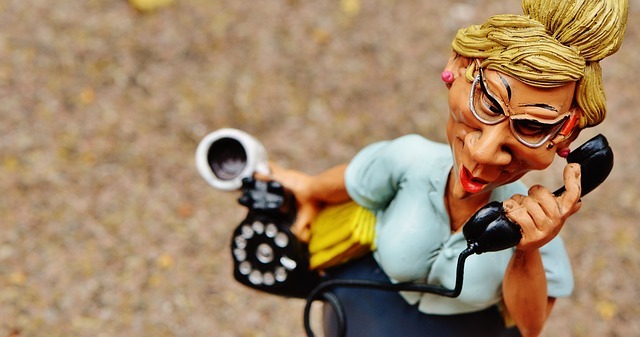 In fact, cold calling is often mentioned as one of a business owner’s least favourite tasks. It’s easy to understand why this is the case. Picking up the telephone, dialing the number, then the anticipation as the ringing tone sounds while your phone tries to connect with the recipient. Will they answer? Will it go to voicemail? Is the number still active? Are they in a good mood? Will they listen to what you have to say? Will they shout, swear or put the phone down? As a business owner, speaking with customers on the phone might be an important part of your sales generation and order fulfillment process. It could be the key to finding out your customer satisfaction levels. It can also be part of the turn-around process solving problems and retaining your customers if they have found cause to complain. The key is to prepare for each and every phone call, every single time. I help customers use these methods to focus their thoughts and to get into the right mindset for each new conversation. Have a sip of water before dialing the number. Take a breath before speaking and remember to breathe during the call. Stand up when you speak, this opens your chest and helps project your voice. If you know the person’s name, check you are able to pronounce it properly. If you don’t know their name, be ready to ask for the right person or department. Be ready to leave a professional voicemail with your name, reason for the call and a method to contact you, either a return call or email etc. If you have a bad phone call, don’t take it personally, take a breath and dial a new number. Smile. This is important as it lifts your voice and can be detected at the other end. Your tone of voice affects your authority within the phone call. The next tip is to be aware of your tone of voice. If you are chasing an outstanding debt you may wish to speak with a lower tone and choose more formal words. Speaking slowly and clearly can also project authority, especially if you are discussing facts and figures. In sales calls, speaking with a slightly higher tone can achieve a better rapport with a customer or prospective customer. Especially when giving pricing information, choosing a soft tone can reduce the possibility of a customer trying to negotiate a better deal. Your choice of questions affects the outcome of your arrangements. When arranging a meeting, or a date for work to be carried out, it can be helpful if you take charge of the conversation and offer specific dates for your customer to choose from. By offering a limited number of choices your customer may find it easier to make a quicker decision and you can guide them using closed ended questions. Popular ways to phrase closed ended questions to your customers. A closed ended question generally results in a “yes” or a “no” answer. The way you phrase the question gives you two possible outcomes, “yes they want what you’re offering” or “no they don’t want what you’re offering”. Keep in mind that a “no” might be a “not right now” and the person might be worth following up in the future. Closed ended questions typically start with a verb and include the person, such as “are you”, “will he”, “is she”, and using these words prompts the other person to converge to a straightforward “yes” or “no” decision. Closed ended questions can be as long or as short as required. If you want to know if a customer understands the components of your product or service, you can ask a closed ended question such as “does this make sense so far?” or “do you need any more information?”. Using these tips will improve your conversations with your customers, suppliers, with your staff and perhaps even your family and friends. Knowing the outcome that you want to achieve from each phone call will help you keep on track and enable you to make more calls and use your phone time more effectively. For more tips on how to contact your customers by phone please get in touch with me, by phone, of course! My number is 07756 772950 and I can help you and your employees learn proven techniques to stay calm and professional, no matter who answers the call at the other end.